Death of Fr. 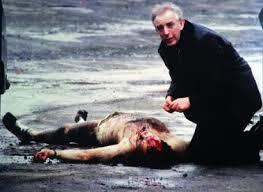 Alec Reid, Redemptorist, Peace-Maker. We wish to announce the death of our colleague Fr. Alec Reid. He died peacefully in a Dublin Hospital at 6.40am this morning (Nov. 22nd). 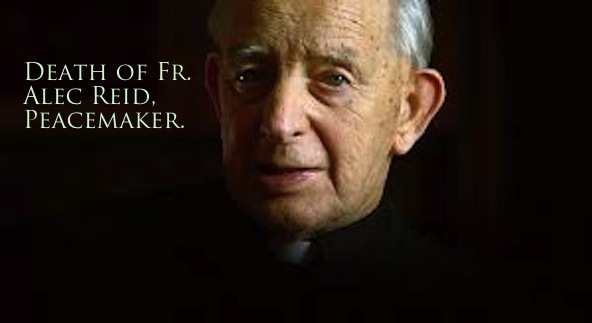 We extend our deepest sympathy to his family, friends and those who got to know him as a Redemptorist in the various roles and ministries he held. He will be especially remembered for his work in the Northern Ireland peace process. Click here for a BBC News report on his life, ministry, and his death. Click here for his funeral notice on www.rip.ie, or as it appears in the papers. Remains will be reposing at Marianella Chapel, 75 Orwell Road, Dublin 6 on Saturday 23rd from 2pm – 8pm and Sunday 24th from 1pm – 8pm. Monday 25th Mass in Marianella Chapel @ 11am. Following Mass Fr. Reid will be taken to Clonard Church, Belfast. Remains will be reposing at Clonard Church on Monday 25th from 4pm – 9pm and Tuesday 26thfrom 9am – 9pm. The death has occurred today, November 22nd, of Fr. Alec Reid, an Irish Redemptorist, who played a major role over many years in working for peace and reconciliation in the North of Ireland. Fr. Alec was 82 years of age. May he rest in peace. His role was usually in the back-ground, but in March 1988 he was photographed kneeling beside the body of a british soldier who had just been shot dead. This image went all over the world a day or two later when the photographer reluctantly allowed it to be published. It has become one of the iconic images from that time in Ireland. Fr. Alec was born in Nenagh, County Tipperary in 1931. We understand that he played hurling with the Tipperary Minors before leaving home to join the Redemptorist Congregation in August 1949. He was professed as a Redemptorist in 1950 here in Esker, Athenry, and was ordained priest seven years later in Cluain Mhuire, Galway. He ministered for most of his life in Belfast, and for a period in Dundalk. He passed away peacefully in St. Vincent’s Hospital in Dublin on November 22nd, 2013. Rev. Harold Good (left) and Fr. 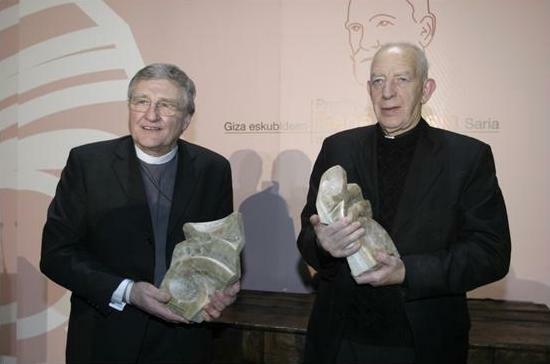 Alec Reid (Right) after receiving the "René Cassin" Human Rights Award from the Basque government. Check out BBC for their programme ’14 Days’, shown in March 2013. ← Soul Food for Hungry Adult Communities: November 24th 2013: Feast of Christ the King. 2 Responses to Death of Fr. Alec Reid, Redemptorist, Peace-Maker. He was a bold Tipperary man who spoke out fearlessly against injustice on both sides. My condolences to his fellow Redemptorists at this sad time. RIP.